These photos were taken last weekend, when we went to lunch to one of our favorite weekend lunch restaurants Na Radnici. It’s both close to our flat and to M’s parents’ flat and M’s brother’s flat so we tend to go together but sometimes we just by ourselves, as we did last weekend. It was quite a nice day (as we took the car, ha!) so I only wore a knitted vest (Topshop) as outer wear. I wore one of my favorite dresses (Dune), one of the very few that has sleeves. And most importantly, I wore a new pair shoes! I love a fun pair of flats (I love a fun pair of heels too but flats are definitely more wearable in my life at the moment, what with a daily commute and running around a cobble stoned city.) It will surprise absolutely no one that Melissa is a favorite brand of mine. 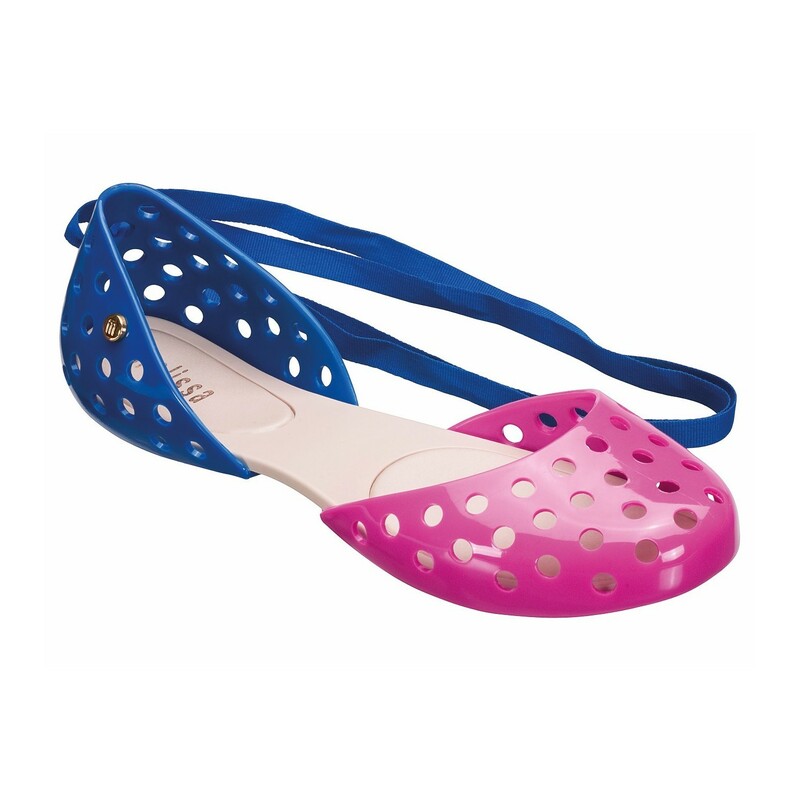 I adore their quirky designs and I find the material of (most of) their shoes to be very comfortable and easy to wear. Plus they smell nice. Below is a picture that I posted over on my instagram. If you don’t already, please follow me, that way you’ll always be up to date. I love you sitting on the train! I also love your hair colour, it’s really grown on me, you really suit it. I haven’t coloured my hair since November, so my roots as you can imagine are HUGE! As I’m not getting out of the house, it doesn’t really matter (I’ve not even been wearing it curly, it’s been in Heidi braids!) I’m trying to grow my hair, grow out my fringe and am hoping for something totally different (although I always get frustrated and cut it again). I have no idea where to go next with colour (isn’t much I haven’t tried) but I really look so bad with my natural colour (it doesn’t suit me at all), plus I have pink ends still!